We wish a Happy Teachers’ Day to all of you reading this blog. On this special day, we will be discussing classroom behavior management. This is a much-discussed topic and today we will take a look at how teachers can manage their students in the classrooms. To get equipped with the methodologies of managing your students, as a teacher you must take up a classroom behavior management course from a teachers training institute. So let us see what our teachers can do. This is a documentation report regarding a behavior incident in the classroom. This documentation is a good way to report and keep track of misbehavior in the classroom. The improvement worksheet is necessary for strategizing on how to improve the behavior of children. This sheet will also help you to strategize the ways in which management should be carried out in the future. Make a list of rules that your students need to follow while they are in the classroom. You can also chalk out how to implement the reward system to motivate students to behave well. To learn how to make these forms, you should join a classroom behavior management course from a training organization. Here we are stating some tips related to behavior management that you can follow. While you are teaching a student of yours to behave herself, you can call her by her name. Generally students like being called by their names. However, when the student is acting inappropriately, then she must not be called by her name. Rather, telling her to mind her behavior without using the name can be a good lesson. But, if the student is sensitive, then she must be dealt with moderately as not calling her by her name can hurt her mentally and de-motivate her in the process of learning. 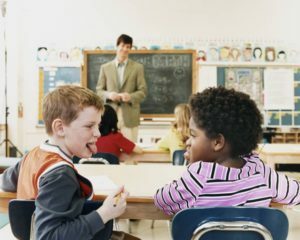 Sometimes students can cause disruptive behavior as they are lacking focus while learning, or that they are plainly feeling bored. To teach them behavior you will need to talk to them personally and learn about their needs and how both of you can improve. You can also cite personal examples and direct them to improve their behavior accordingly. You can find more of these if you take up the classroom behavior management course from a training institute. To maintain discipline in a classroom you must use tentative tones towards students who are behaving inappropriately in the classroom. For instance, to ask a student about his absence of mind, you must ask the student in a tone like ‘the reason for your absence is’ etc. You need to assist your students if they are facing any problems while completing a task because this will help them to build a reliance on you and that way they will listen to you when they are facing a problem. These are some of the ways in which you can improve the behavior of your class. When you will start teaching in a classroom, you will understand the psychological aspects of each and every student and analyzing these you will be able to teach them to maintain proper behavior and discipline. 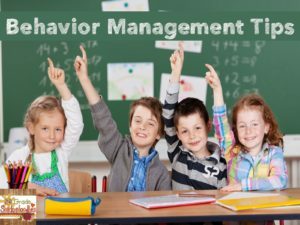 Hence, it is important to take up the classroom behavior management course from an academic organization which will guide you with comprehensive modules.